A book title isn’t just something that an author should come up with willy-nilly. To come up with an effective title that will help sell your book, research and testing is needed. As much as you may think the title will just come to you, I can tell you from experience with publishing companies that there’s a process to coming up with one. We talked about titles in episode 24, when Emanuel Haldeman-Julius would take books that didn’t sell well to what he called “The Hospital” to be revamped and refreshed, then put back on the market back in the 1900s. One book called “Gautier’s Fleece of Gold” wasn’t a big seller until it was re-titled “The Quest for the Blonde Mistress.” Not only did the new title more accurately represent the story, but it was more intriguing to those looking for their next book to read. The book went from selling 6,000 copies per year to 50,000. One of the best ways to start to come up with a title is to go to the library or bookstore and look at the best-selling books. If you look long enough, you’ll see they look very similar. Many use one-word titles, which seems to be a recent trend. You may even see a similar sentence structure or common words among the titles. The quote “Good artists copy, great artists steal” has been attributed to many artists over the years, but the point is that you can take a look at these best-sellers from major publishing companies and use them as inspiration for your title, keywords, or even sentence structure. Once you get a basic idea of styles you’d like to emulate, sit down with a pen and paper and start analyzing your book. Look at character qualities, settings, genre words, or pain points that can fit nicely into the style of title you’d like to go with. What words your target market would use when thinking about your book? What kind of results do they want? What kind of life do they want to live? What is it they truly want to develop because they read your book? Another method for coming up with a book title could be online generators. Those who have designed the generators have done a lot of the hard word for you, including looking at best-seller trends, sentence structures, grammar structure, etc., and they’ve created a giant database of potential book titles. It is important to note that many book title generators may specialize in specific genres. If you’re overwhelmed at the generator choices, take a look at the Kindlepreneur article on book title generators in the link below. You may have found a few options for titles that you like, but it’s important to test them out. You can put it through a title scorer or you can test it out online against a similar title or even with different cover designs. This can either be done through a website or within your own social media pages. 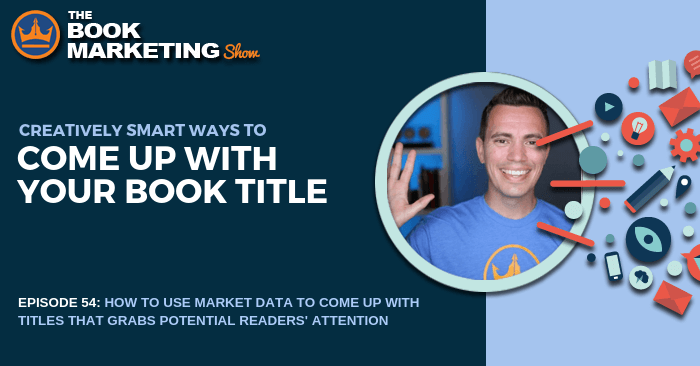 With these tips, you should be able to come up with a title and test it out effectively, giving your book a better chance of having a best-selling title.